Hot-Stop L Fire Containment for Medical facilities - Hot-Stop®"L"
Workstation fires can start at any moment. What is your plan? What do you do with a lithium-ion battery powered device that is overheating? WATER or a HALON FIRE EXTINGUISHER won’t contain the FIRE or SMOKE from a LITHIUM ION BATTERY FIRE! Some recently introduced smart phones and laptops are even WATERPROOF thus preventing water from reaching the cells of the battery. Sometimes, large quantities or NO WATER is readily available! You will likely need to HOLD other bags upright for the water to remain in the bag. Information is available that says Li-Ion batteries don’t react with water. Online videos from multiple sources indicate otherwise! FAA SAFO 16001 dated January 19, 2016 - Halon Fire Extinguishers are incapable of preventing a lithium ion battery fire/explosion. Other Bags don’t properly seal and allow excessive TOXIC SMOKE to escape - requiring the need for masks and will cause extensive smoke damage. Other “fire containment” apparatuses on the market have NOT BEEN BURN TESTED or CERTIFIED and take much longer to deploy. ​Some recommend using WATER to contain a Lithium Ion Fire! Really? 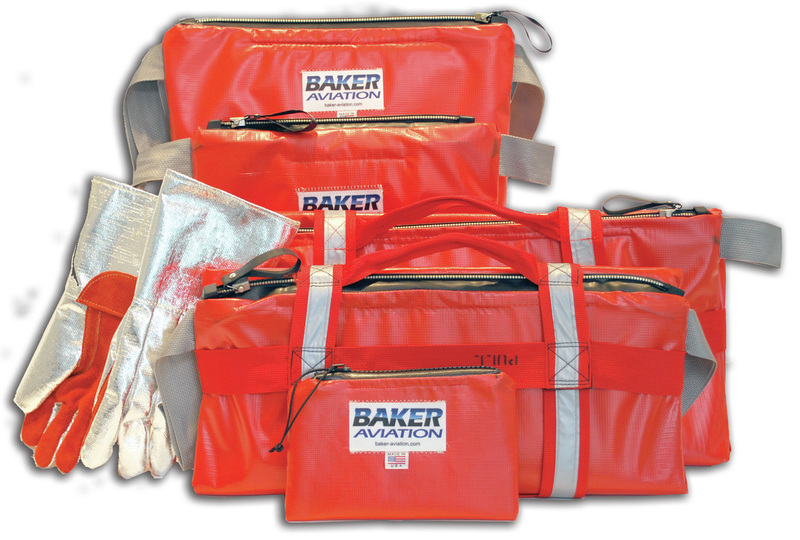 The HOT-STOP® 'L' Fire Containment Kit safely contains fires, explosions and all smoke emissions from Lithium Ion powered devices without the aid of a water supply; however, HOT-STOP® products allows the use of water so that Airline operators and others can comply with SAFO FAA recommendations. Fast and easy to use (5 or 6 quick steps), the light-weight HOT-STOP® ’L’ Kits includes a pair of 14” fire safety gloves and will safely store a laptop, tablet, battery charger, or smart phone when not in use, contain an overheating device, or contain one that is in full thermal runaway. Demonstrated with an entire laptop case, keyboard and all related combustibles. Demonstrated (IEP, Thomas Connolly/Owner) along with other candidate’s products, and proven to contain laptop fires at the FAA Atlantic City Tech Center in 2007. 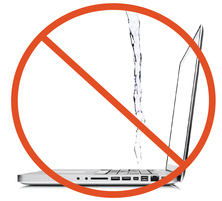 HOT-STOP® ‘L’ was the ONLY product to successfully contain the runaway laptop and meet all performance criteria at the 2007 demonstrations. It again performed as required in 2008 demonstrations in which HOT-STOP® ‘L’ was the only candidate the FAA found worthy of retesting. Designed to contain a PED that reaches thermal runaway and contain it until it has burned itself out. Only fire containment product with Burn Certification. Independent laboratory tested by major airlines and flight operations. Fulfills all required parameters set forth by the FAA (contain fire, sparks & flames) with or WITHOUT WATER. Also contains all toxic smoke and fumes with the latest Zipper Technology. Allows for the use of water so that airline operators can comply with FAA SAFO recommendations.